Another excellent americana entrance. 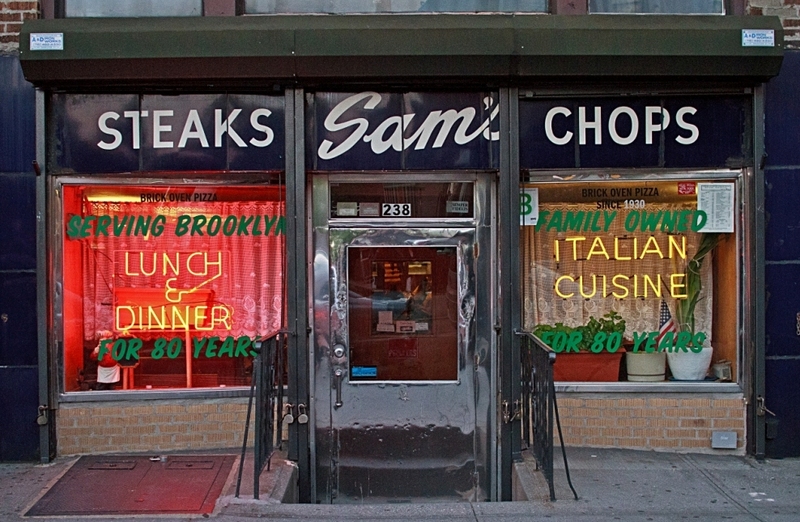 That door does it as the combination of steaks chops and italian cuisine. So beautiful photo, as always!! This is so great. Neon, colorful, neighborhood - still open, family owned for 80 years. Gotta love it. The best goldenslot for all people.